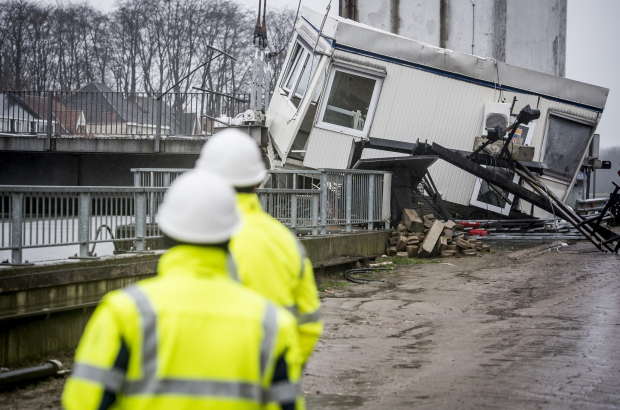 A bridge over the Brussels-Willebroek canal in Grimbergen partially collapsed on Thursday morning after a cargo ship ran into it. Although the bridge is used by local traffic in the Humbeek neighbourhood of Grimbergen, there were no injuries. The bridge had been raised to allow a Brussels-bound ship to pass through but had been lowered again. A second ship going in the same direction then ran into it for reasons that are unclear. Experts expect the repair of the bridge to take several months. The canal is a busy shipping route as it links Brussels with the Scheldt river. “There will be dramatic consequences for cargo traffic and commuters,” said the spokesperson. The route is used by traffic to get to and from the E19 and the A12. There is another bridge over the canal about four kilometres north, but the city is considering setting up a boat crossing for cyclists and pedestrians closer to the damaged bridge.